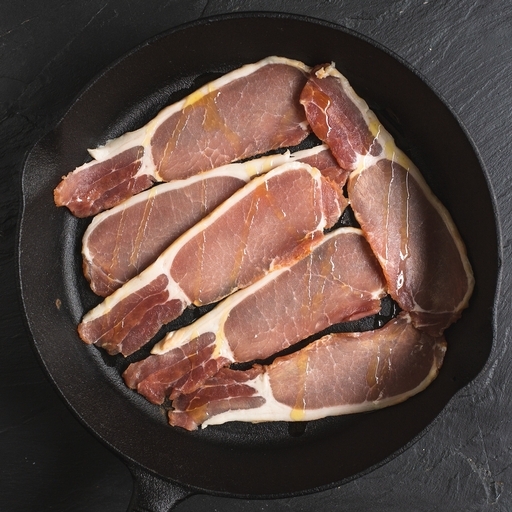 Our traditional smoked back bacon is made with organic, truly free-range Wiltshire pork. Full-flavoured meat is taken from the loin, dry-cured by hand to let its natural sweetness shine, and lightly smoked over beech wood for a distinctive mellow, smoky flavour. Pork, salt*, cane sugar, sodium nitrite*, potassium nitrate*.